OMG I AM SO EXCITED FOR THIS BOOK!!!!!! I absolutely adore Amalie. She’s so sweet and wonderful. I discovered her during the 2013 Fall YASH and I’ve never looked back. I won her giveaway for a signed ARC of Waterfell. I read it. I LOVED IT! I raved about it. I still rave about it. OH MAN. Rissa is a great character and don’t even get me started on Lo. BTW. Dibs. DIBS DIBS DIBS. Lo is MINE. *glares* Anyway. I’m so excited to see where the action picks up. OMG I NEED IT NOOOOOOOOW. It’s even worse knowing I have a copy heading my way from Amalie. The wait is excruciating. I just read Seamonster over the holiday weekend and adored it as well. Keep an eye out for my review and a giveaway coming up in the next few weeks. (: Reading it only made it worse. I MUST KNOW MORE!!! Sea aliens. Drama. HOT GUYS. Yes. Guys. Well. Guy cause Lo is off limits cause he is MINE. IT’S GONNA BE AWESOME! I could go on and on about why you need to read this book. But I won’t. 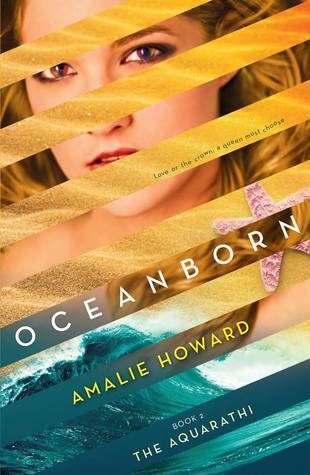 Just do yourself a favour and order Waterfell and Oceanborn. Just do it. DO IT. I NEED YOU TO GET PUMPED UP FOR THE AWESOMENESS!!!! *flails everywhere* THREE MORE WEEEEEEEEKS!! !